Lead vocalist James "Bison" Friedmann is the primary creative presence on Go Jimmy Go's bright new Christmas album. Friedmann wrote five songs for the project and teamed up with GJG drummer Shon Gregory for a sixth. Four Christmas standards complete the package. Whimsical album art suggests the retro rock 'n' ska spirit and tongue-in-cheek humor GJG is known for. The good-time vibes kick in with the opening track, a spirited remake of "Merry Christmas, Baby," and they continue to build through several originals that suggest what Christmas is like for the band members -- wearing the sweater that your girlfriend gave you a year ago, getting a copy of your own last album as a Christmas present, and seeing your mother "in the pool half-naked," for example. GJG stretches out musically with an imaginative, nostalgic rendition of "Mele Kalikimaka." They also explore fresh musical territory with "Tropical Christmas" as Friedmann sets original lyrics to the melody of "Ue O Muite Aruko" (better known to Americans as "Sukiyaki"). An instrumental rendition of "Sleigh Ride" showcases the horn section and works as an interlude, but "The Twelve Days of Christmas Local Style," an awkward pidgin deconstruction of Eaton "Bob" Magoon's original, breaks with GJG's ever-popular sound and belongs on a different album. The children of Claudio and Rigolette Baraquio responded to the suicide of their youngest brother, Albert Baraquio, by recording this collection of songs that express the pain his death caused them and the strength of their Christian faith. Launched with a major media blitz earlier this month, "Lost + Found" lives up to its pre-release publicity as being one family's very personal response to a sudden and unforeseen tragedy. Much more than that, however, it also spotlights several family members as vocalists and songwriters. Rose Baraquio Harman makes a memorable debut as the siblings' primary lead vocalist; Angela Baraquio Grey and her husband, Tinifuloa Grey, add diversity by taking the lead vocal on one song each. Bernadette Baraquio Hamada stands out as the most polished and articulate lyricist. The basic sound of the album is contemporary inspirational pop. There's lots of airy electronic instrumentation, drum tracks and electric guitar licks, for example, but the quality of the music is better than many local "inspirational" and "praise music" projects. Several veteran local studio musicians add their talents to the Baraquios' own pool of instrumental talent, and the best songs are certainly worthy of play on Hawaii's Christian music radio stations. Several songs stand out for various reasons. "Beyond the Blue" combines a sweet and swinging cocktail lounge arrangement with a comforting albeit dark message of hope in the hereafter. Steady reggae rhythms and Rose Baraquio Harman's appealing voice makes "Smile" bright and uplifting. "Living For You," written by Angela Baraquio Grey, her husband, and father-in-law, Samoan entertainer Jerome Grey, adds a splash of Polynesian soul to the project. Some of the other originals are essentially expository messages to the brother who chose to leave them. The writers generally ignore the conventional songwriting principles of rhythm, rhyme and meter, but their work too is certainly part of the grieving process. 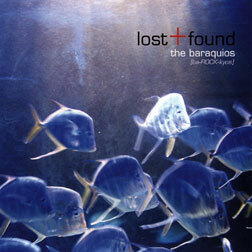 Remakes of three contemporary Christian songs underscore the religious foundation of the Baraquios' faith. So do two of Bernadette Baraquio Hamada's memorable contributions, "All I Ask Is Peace" and "Answer When We Call." "The Anniversary Song," written for their parents, closes the album with a final message of faith, hope and family unity. 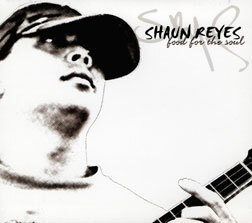 Shaun Reyes got a lot of studio support on what is nominally a solo album but succeeds throughout in establishing himself as a versatile vocalist and a formidable talent on ukulele. He opens strong -- very strong -- with an instrumental rendition of "Kawika" that showcases his uke playing and leaves no doubt that this guy can jam. As the first track on the album it is a perfect choice -- a grand slam out of the park, if you will, or a 60-yard field goal in the final second of the championship game. Reyes shows his imagination as an arranger with "Hi'ilawe." He plays it as a duet with ukulele master Herb Ohta Jr., and at a tempo considerably faster than the standard Hawaiian version. Jon Porlas (percussion) and co-producer Jon Yamasato (bass) share credit for a memorable reworking of a well-known melody. On the other hand, Reyes' solo take on "You Don't Know Me" shows that he can make a melody his own and explore variations of it without taking it to the point that it becomes unrecognizable. "Bubble Tune," one of the two songs he wrote for the project, is another highlight. It would have worked quite well as a change of pace if he'd played the entire thing in the blues arrangement he starts out in, but the sudden jump to a fast and frenetic pace results in another chance to display his speed scratching and picking. Uptempo work is also the thing on "Nathan's Song," an electric jazz number written by Nathan Aweau that features the Hoku Award-winner on bass. Reyes establishes himself as a vocalist with "No Ke Ano Ahiahi" and shows his romantic pop side with a plaintive remake of "Turn Your Lights Down Low." Yes, Reyes can deliver a love song! Reyes and Yamasato make a series of good choices as co-producers. An acoustic piano is all the additional backing Reyes needs on "Turn Your Lights Down Low," and guitarist Vernon Sakata provides sufficient contrast on "Liani," Reyes' other original composition. However, the bigger jazz/rock sound of "Nathan's Song" fits in as well. The liner notes don't mention Reyes' reasons for including a routine remake of "On And On" when his work elsewhere shows greater capabilities, but don't begrudge him a single marginal song.